Learn how to create simple and complex ceramic forms, working on Montalvo’s new pottery wheels. Various building, trimming, glazing, and surface design techniques will be demonstrated. A small group size ensures individual guidance. 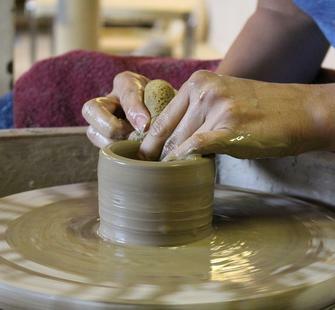 Your enrollment fee includes four Monday evenings of instruction and three Wednesday evenings of optional additional studio time, during which you can continue to explore your developing clay skills. The class instructor will be present at these studio sessions to answer questions and provide feedback and guidance.